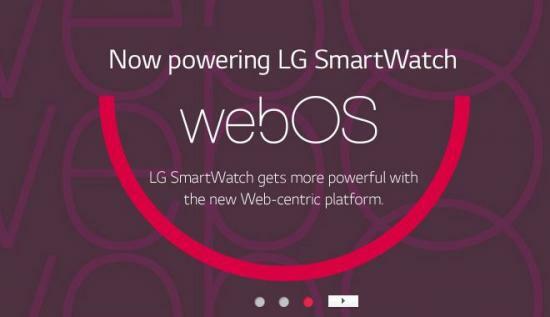 LG's taking their purchase of webOS back closer to where it was born: mobile, in the form of the LG Watch Urbane LTE. That's right, the just-announced LG Watch Urbane LTE is a webOS smartwatch. We got our first hints of this new watch back at CES 2015, and today we've finally gone full hands-on with LG's latest take on webOS. It's worth noting though, that unlike the TVs, which LG emphasizes as running webOS, the Watch Urbane LTE is touted as running the LG Wearable Platform, but at it's core, this is webOS. We'll get this out of the way right now: this is not like the webOS we're used to. LG's built an entirely new interface on top of the core of webOS, though it retains a lot of the gesture-driven feel of webOS. There's a lot that's had to change, by virtue of the new owner's design style, the passing of time, and the constraints and requirements of a circular watch platform versus a larger phone or tablet screen. But the swiping left-to-right to go back gesture will be familiar to anybody that's used a webOS device in the past. Speaking of that interaction, the app menu is a spinning ring of your installed apps. There are three buttons on the right side — the top opens up the settings, the middle (and raised to for prominence) the apps launcher, and the bottom cycles through recently-opened apps. LG's loaded a bunch of their own apps on the watch, including standards for messaging, phone calls, contacts, music, calendar, email, find my phone, voice memo, etc. In addition, there are apps for LG Health (using the on-board sensors — we'll get to those in a bit), remote camera shutter control, Cashbee (a Korean payments system), CGV (Korean movie theater chain), Golf, Tranggle Cycling (GPS fitness tracking), and a voice translator that works surprisingly well from the watch's microphone and speaker. At this point we should note that the LG Watch Urbane LTE is designed as a standalone device — as the LTE in the name would indicate. All of these apps are self-contained on the device (except for the obvious remote shutter needing a remote shutter to control) and aren't mere companion apps to an app installed on your smartphone, as with Android Wear (which the standard LG Watch Urbane runs). The Watch Urbane LTE is a standalone device. It might share part of its design and styling with the Android Wear-powered Urbane, but there's little else about it. Inside it's mostly a different and more powerful device. Under the 1.3-inch circular P-OLED display (the same as you'll find in the standard Watch Urbane, as well as it's less-fancy and slightly older Android Wear compatriot the LG G Watch R) is a Qualcomm Snapdragon 400 dual-core processor clocked at 1.2GHz, 1GB of RAM, and 4GB of storage. This is all fueled by a 700mAh battery, and connects to the outside world with Wi-Fi 802.11b/g/n, Bluetooth 4.0 LE, NFC, and (of course) a cellular LTE. It even has fine motion tracking thanks to an accelerometer and gyroscope, a compass, barometer, heart rate monitor, and GPS + GLONASS. Combine that with the speaker and microphone and you've got what amounts to an entry-level smartphone, but strapped to your wrist. In fact, the power of this phone is roughly equivalent to that of the HP Pre 3 (from 2011). All of this is crammed into a polished metal body that's on the chunky side, noticeably, but not terribly so, in comparison to the average smartwatch today and many high-end watches today. Considering everything that's in that body it's not shockingly thick, nor thin. It's right about what you'd expect. Like webOS on an LG TV, this isn't webOS like we grew used to under Palm and HP. This is LG's webOS, where it's not just the interface, but the core OS that's useful and extensible. There are points here and there where you'll find hints of the webOS of old (surely, if you look at the code, there's a lot of webOS in there), but many of those are simply modern user interface conventions that aren't anymore unique to webOS anymore. You won't not find cards or classic webOS notifications here. Then there's the matter of availability. LG's not commented on a launch time or price, but we can be sure it won't be cheap with everything packed inside and the quality of the design. And right now it's looking like the Watch Urbane LTE might only see a release in Korea. That could change, but LG put a strong emphasis on saying that Android Wear is still their primary platform. CES 2015 has been an insane ride, but the craziest news out of the show wasn't even an announcement: the LG smartwatch that Audi was using to control their autonomous car runs webOS. Yes. webOS. On a watch. In a week that brought us the news that TCL is resurrecting the Palm brand and the latest webOS TV's from LG, we also get webOS expanding to a new platform: the wrist. Yes, at CES 2015, we're writing about Kodak, Palm, and webOS. It's like a tech episode of the Twilight Zone. The reveal of the smartwatch came as a surprise, with an Audi executive revealing the watch as being from LG and using it briefly in his demo, but not saying much more about it. The assumption was that it was running Android Wear, but our friends at Android Central decided to dig in to the watch and found that it was in fact not Android Wear. Google's imposed strict restrictions on the customizations that can be made to Android Wear, so the more we looked at it the more curious we became. It was clearly not Android Wear, and then we ended up deep in the settings and saw something amazing: webOS Version Open webOS. LG's teased webOS smartwatches before, but never made a public statement on where they would next expand webOS beyond their TVs. Most interesting is that the watch has a number of LG's custom apps built in, including apps for calendar, dialer, messages, email, and more. It even sports NFC and a cellular radio. Yes. This thing is a ready-to-go webOS portable. We hate to be speculative (that's a lie, we love it), but everything here indicates that LG is working hard to make a device that's thoroughly capable of operating independently, and has the makings of a proper modern webOS smartphone. In a world where Samsung's ported their Tizen OS from smartwatches to smart televisions, LG is bringing their webOS smart TV OS to portable devices. It's a mad mad world, and we're excited to find out even more about what LG has in store for webOS. TCL is resurrecting the Palm brand with a brand-new Palm, Inc. based in California. As we reported last week, TCL purchased the Palm brand from HP late last year, although at the time it wasn't clear what the company had planned. It's not at all clear what TCL intends to do with the Palm brand, although they seem to recognize the history that the brand carries. Palm has always carried a lot of affect and emotions. That's why TCL has set the direction to rebuild the brand involving Palm's very own community, making it the largest scale crowd-sourced project ever seen in the industry. Where TCL's Alcatel Onetouch has long produced entry-level and mid-tier smartphones, and it seems that TCL wants Palm to be a division that produces "a more-advanced device", with "breakthrough innovations" across the hardware, software, and even sales models. TCL's full weight will be behind Palm, touting 5000 engineers and 7 research-and-development centers around the world. When we'll see more from TCL and Palm isn't clear, but we do know one thing: Palm is coming back. The story of Palm is a twisted one, with Palm being founded as an independent company in 1992, being bought by US Robotics in 1995, and then 3Com in 1996, being spun off in 2000, split in half in 2002 and renamed PalmOne, merged with Handspring in 2003, rebranding as Palm, launching webOS in 2009, selling to HP in 2010, getting canceled in 2011, webOS getting open sourced in 2012, and the remnants of the Palm company (minus the branding) being sold to LG in 2013. It's rare that a company receives a second life as Palm did, and rarer still to be revived after being left for dead. Regardless, the Palm brand carries a lot of emotion for many, so it's good to see it coming back and we hope TCL produces a phone that's worthy of the name Palm. We've been wondering for a while what is up with Palm.com domain, and it's looking more and more certain that HP sold the brand and trademarks to Alcatel Onetouch. 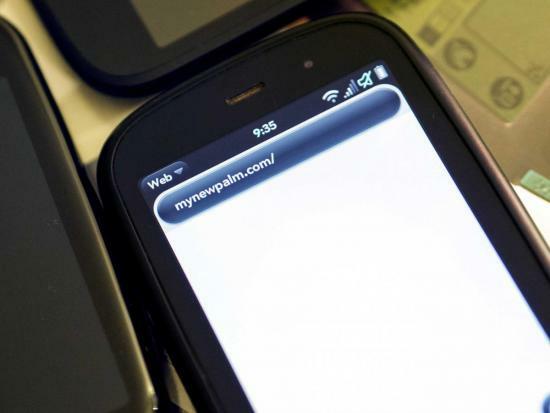 The first hints of this came from the teaser when the website started redirecting to mynewpalm.com, with a looping video of the Palm logo with the text "coming soon" and "smart move" beneath. "Smart move," as it would be, is the slogan of Chinese smartphone manufacturer Alcatel Onetouch (a brand of Chinese electronics firm TCL). That's not exactly a lot to go off of though, but it was enough to raise suspicions. That's where webOS Nation Forum member Ederic Eder comes into play. He did a bit of diging and found that on October 31st Palm, Inc (still technically a subsidiary of HP) transferred ownership of the Palm name, trademarks, and logos to Wide Progress Global Limited. The transfer was executed on the Palm side by Rishi Varma (HP SVP Deputy General Counsel) and Wide Progress Global Limited was represented by Nicolas Zibell. We wouldn't expect either of those names, nor Wide Progress Global Limited to be familiar to you. It doesn't take much research to find that Wide Progress Global Limited is what's called a "shelf company", a corporate entity that's created and the tucked away for the day somebody needs to do something without exposing who's really behind that something. It's different than a shell company in that it was created with no intended purpose — it's "put on a shelf" until it's needed. A quick search revealed that the Palm trademarks are the only trademarks currently held by Wide Progress Global Limited. Nicolas Zibell is, according to the trademark transfer, a VP at Wide Progress Global Limited. But that's nothing — Nicolas Zibell is also President, Americas and Pacific, of Alcatel Onetouch and TCL. Alcatel Onetouch isn't a huge brand, though they have sold well over 300 million handsets. The company's strongest positions are in Asia, with very little presence or brand recognition in the US. So we have HP transferring the Palm trademarks to a shelf company that just so happens to be led by the same guy who is in charge of Alcatel Onetouch America. Interesting, no? We reached out to Alcatel Onetouch and Nicolas Zibell directly, both neither have responded to our requests for comment. If we assume that the trail of crumbs to this point is correct (and we see very little reason to assume otherwise), then the real question is this: what is Alcatel Onetouch going to do with the Palm brand? There are a couple of approaches to consider. The most basic is that Alcatel Onetouch has in the past produced phones with a model name of Palm, and they just are working to protect their own branding. Though why that would necessitate a shelf company transfer maneuver, we couldn't tell you. The more intriguing option is that Alcatel Onetouch plans to use the Palm brand going forward, either as part of a line of phones, or as their own brand. While an Alcatel Onetouch Palm line of smartphones seems like a reasonable proposition, Alcatel Onetouch America rebranding as Palm (or perhaps even all of Alcatel Onetouch) would be a very interesting move. Like we said, Alcatel Onetouch has very little brand recognition in the US, while the Palm name has significant recognition and customer goodwill. What was probably a few million dollars to buy the Palm trademarks (perhaps several million, though we have no way of knowing right now) brings instant brand recognition that would cost far more in advertising dollars. Of course, Alcatel Onetouch as Palm would still have to follow up with an advertising campaign for "The new Palm" (see the new URL at play there, eh?) as well as delivering quality products. Palm was something truly impressive. They pioneered the PDA and the smartphone. Palm webOS revolutionized the way we approached multitouch user interfaces so thoroughly that you can pick up literally any smartphone made in the past few years and find something that was lifted from webOS. Alcatel Onetouch has carved out out a comfortable little niche for itself serving the lower end of the smartphone market. We hope that if they're truly planning to go full bore with the Palm brand that they start producing hardware that's worthy of the name. Well, it was bound to happen eventually, and now we know exactly the day when HP will flip the switch on the webOS cloud services servers: 15 January 2015. Just barely six years after the Palm Pre was introduced at CES 2009, HP plans to shut off their last remaining expenses related to their disastrously-managed webOS experiment. The date also falls just short of two years after HP sold off their webOS assets to LG. It's a sad, but not unexpected day. And when the 15th of January does come, all webOS cloud services will go offline. Shutting down webOS cloud services is part of an orderly end of life program. HP announced the end of webOS devices (phones and tablets) over 3 years ago but the services were kept running to allow customers to continue to have a richer user experience. The user count has dwindled to the point where it is no longer viable to keep the services running. It's a sad day, and it'll be a sad day yet when the 15th of January comes and those servers go dark. But in the meantime, the webOS Nation App Gallery is still up and running. Yeah, we know, we're still here. Any developers interested in moving their apps over to the App Gallery are welcome to do so and can request access to submit apps here (select "Submit Homebrew App" as the category). We know it's not the same as the App Catalog and we don't have a system in place for payments, but what have you got to lose at this point? For those of you that are wondering how you'll manage in a post-App Catalog world, check out our guide for installing Preware on your webOS device. September 9th, 2014, marked 15 years since the Mobile Nations story began, with the launch of Visor Central. A lot has changed in mobile tech in the years since, but one thing definitely has not — the passion of this great community. The response to our anniversary article was fantastic, and I want to thank each and every one of you for the congratulations and support you shared. It truly means a lot.